Many of our patients visit our private GP clinics complaining of aches and pains. When these aches and pains affect the joints, it is often known as Arthritis. Today, we’ll be focusing on Rheumatoid Arthritis, as per Rheumatoid Arthritis Awareness Week 2017. Arthritis is a common condition that is thought to affect one in every 5 or 6 people, and it is usually associated with growing older. However, did you know that there are actually two different types of arthritis: osteoarthritis and rheumatoid arthritis? 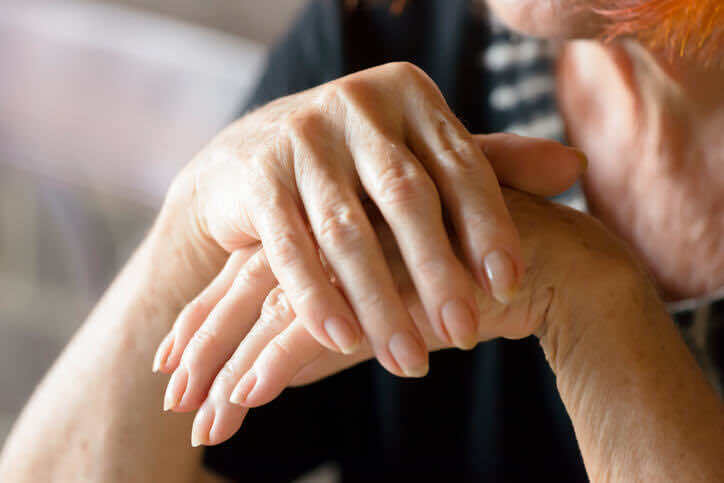 Rheumatoid arthritis is a type of joint disease that actually affects younger people (in the prime of their lives) and it is this type that we are focusing on in this article. Rheumatoid arthritis tends to affect women more often than men and is often diagnosed when a person is in their 30s or 40s. It can be a particular drag if you are dealing with a busy career, young family and the symptoms of this condition! This type of arthritis is classified as an auto-immune disease – but what does this really mean? Well, in basic terms, it means that your immune system, which usually provides a strong line of defence against infections, turns on the cells that line your joints and begins to attack those instead. This week is RA Awareness Week 2017! The symptoms of rheumatoid arthritis tend to develop slowly, over a period of time. The earliest symptoms might be felt in your small joints, such as your fingers and toes. Symptoms include aching or throbbing pain in your joints, which might be more noticeable in the morning. Stiff joints are also a feature of rheumatoid arthritis, and this can often be worse in the morning too. Many people with rheumatoid arthritis find that this morning stiffness usually resolves within a short time (about 30 minutes). Other symptoms of rheumatoid arthritis include swollen, hot or tender joints, due to inflammation of the lining of the joint. Once you are diagnosed with rheumatoid arthritis, you may find that your symptoms fluctuate; you will have periods of time when you feel really well, and other times when your illness “flares up” (the term used to describe the worsening of symptoms in rheumatoid arthritis) and this can result in pain, not to mention difficulty with completing everyday tasks. For this reason alone, rheumatoid arthritis can be a demoralising illness to live with. You might be surprised to hear that rheumatoid arthritis, unlike the other type of arthritis (osteoarthritis), doesn’t only affect your joints. It can also cause inflammation in parts of your body besides your joints, such as the nodules on your elbows, tear glands, salivary glands, and even the lining of your organs, such as your heart or lungs. Receiving a diagnosis of any chronic condition can be a shock, and it takes time to adjust to. If you have recently been diagnosed with rheumatoid arthritis, you may be heartened to hear that there are lots of treatment options available that can help you to manage this condition, and research into the condition is ongoing. Try to be patient if you can; it can take some time and experimentation to find the right treatment for your personal case. Your GP may prescribe pain killers to help treat the discomfort associated with the pain and swelling in your joints. Paracetamol is commonly prescribed, but sometimes drugs containing codeine might be useful (although you will need to use these with caution). Another option for medication is a drug called a corticosteroid. This can be taken in tablet or injection form, and it reduces pain, swelling and inflammation. Corticosteroids are often effective at controlling your symptoms, and they are usually used on a short-term basis. Many people with rheumatoid arthritis take a disease modifying anti-rheumatic drugs (DMARDS for short!). These drugs block the effects of damaging chemicals which are produced when the linings of your joints are attacked. The earlier you start taking these drugs, the better the result is likely to be. It can take three to six months to find out if these drugs are working, so stick it out, and remember to attend with your GP for regular monitoring. Biological treatments are a newer form of treatment for rheumatoid arthritis. They are usually taken in combination with another drug of the kind we have described above. They work by stopping the activation of your immune system, which in turn, stops the attack on your joints. So, if you think you might be experiencing any of the symptoms mentioned in this blog, don’t delay in seeking medical advise. Our experienced private doctors know exactly which signs and symptoms to look out for and, although there is no cure to the condition, the sooner disease modifying treatment is started, the better your long-term outlook and the smaller your chances of developing complications – such as deformities. Simply select your closest doctors surgery and call or book online – if you need to find a GP, LDC is here for you.